Seven years ago, I found my first individual coaching client in Lisa Valerio, mindful mother to an autistic son. I’ll never forget the day that I led Lisa through a future self meditation, inviting her to envision the most positive version of herself, and picture of her life, 20 years into the future. Her connection to her future self was strong. And the vision powerful. She imagined creating a holiday resort in her husband’s native Philippines, one with a pool at the center, so her son could swim (his favorite pastime). The hotel would provide a source of ongoing income that could provide long-term security for her son and would also be opened up to become an anchor of support for individuals with disabilities in surrounding areas. Lisa made all of those incredible things happen by taking inspired action in her life. And she credits the investment she made in herself, through coaching with me, for planting the seeds of her vision and helping her connect to that part of herself that believed she could make it real. Punta de Gloria Resort’s goal is to support, serve and employ those with all abilities. 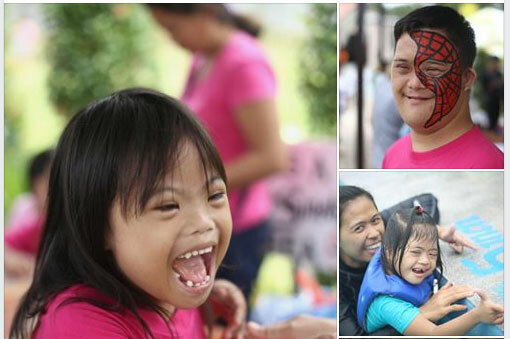 We are honored to be friends of those with Down Syndrome in Samal Island Philippines. All these years later, Lisa is on the threshold of another new chapter, one she’s eager to define, and determined that she was ready to work with me again, this time in the community of other women, through my signature experience the Mother’s Quest Circle. The Circle begins in April and I have a just a few spots still open. We start with the future self meditation and it sets the course for all that follows. If you feel like you’re on the threshold of a new chapter, ready to envision and make real the dreams that live inside you, I encourage you to answer the call and apply for the Mother’s Quest Circle today. Can’t wait to welcome you in if you’re ready!